Started mosaics around October last year and have become truly hooked. 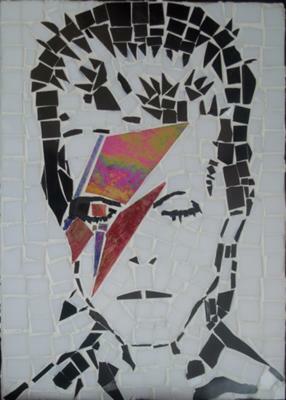 My first three mosaics were ceramic but the rest have been in stained glass because I love the look of it. This one took a few evenings and about 8 hrs at the weekend. Hoping to try my hand at doing a cat next, as I have some lovely honey coloured glass.